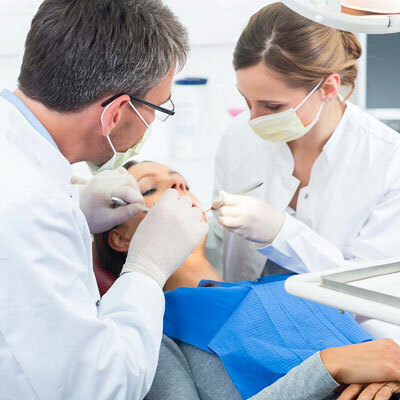 Professional liability protection for individual dentists or dentists providing services under a corporate entity or DBA. It’s hard to overstate your personal investment in becoming a dentist. You spent thousands of hours as an undergraduate mastering scientific principles. You persevered through four years of dental school. You studied furiously for your National Dental Board examination, as well as for your state clinical exam. And you did all this because you had a passion for helping people achieve and maintain their oral health for many years to come. Now it’s time to think about—and protect—your years of hard work and financial sacrifice. Assume you, like most dental students, majored in chemistry in college and that you earned $55,000 per year for four years instead of attending dental school (a conservative scenario). You would have earned $220,000. Now, factor in how much you borrowed to pay for dental school. According to the American Dental Education Association, the average debt load for 2016 graduates was $262,119. Yours may well be higher. Add the two figures and you have a financial investment so far of $482,119 or more. Now factor in the interest on your dental loan. According to Student Loan Hero, the average dental student faces a monthly payment of roughly $2,940 and a total of about $91,664 in interest over the life of the loan. This brings the total borrowing cost to $353,783 and the total financial investment (including foregone earnings) to almost $574,000. Again, this may be a conservative figure based on your own experience. Since you’ve no doubt researched new-dentist starting pay (an average of $119,481, according to PayScale), you also know that a typical debt payback period is about eight years. In other words, even though you are entering a highly compensated field, it will take a long time for you to pay back your loans and to pay yourself back for lost income. Nearly a decade of loan payments can be unnerving for even a highly paid new dentist. And this assumes nothing interferes with your ability to work steadily for almost a decade. But what if something does? There’s always the chance of getting injured or disabled, which might keep you out of work for months or years at a time. Or perhaps you’ll decide to start a family and need to scale back your hours. Another possibility is having to take a leave of absence in order to care for elderly family members. But probably the most dangerous scenario is the possibility a patient will sue you or file a complaint with your state dental board, putting your ability to practice and your assets at risk, while potentially harming your professional reputation and earnings potential. And remember, the fact you are in a group practice will not necessarily protect you, even if the allegations against you are proven meritless. Now, practicing as a dentist will never be a risk-free proposition. However, it’s crucial for you to mitigate your exposures through sound financial planning, including the purchase of dentists’ professional liability insurance. This coverage, also known as malpractice insurance, will protect you in the event you become involved in a lawsuit. It will cover your defense costs, including an attorney to represent you, professional expert consultants, and review of records. These items can add up, even if the allegations are groundless. And that’s before any judgments or settlements are incurred. Clearly, getting sued can be financially punishing, jeopardizing everything you’ve worked so hard to achieve. Still, let’s not overstate the legal perils ahead. According to the Physician Insurers Association of America (PIAA) Data Sharing Project, the average indemnity payment for a closed dental liability claim from 2006 to 2015 was $71,000. But averages, of course, mask extreme values on the distribution curve. For example, included in that $71,000, according to Medical Malpractice Verdicts, Settlements & Experts, were cases where dental insurers paid settlements of $1.7 million for failure to diagnose oral cancer, of $875,000 for a lingual nerve injury during a 3rd molar extraction, and of $510,000 for a material overfill during a root canal causing inferior alveolar nerve damage. Imagine the financial havoc such a payment would wreck on your new practice if you didn’t have dentists’ professional liability insurance as a financial backstop. So here’s the bottom line. You’ve made an exemplary investment in your future, graduating from dental school and successfully attaining your dental license. You took the long view by acquiring valuable dental skills and knowledge and paying for your dental education. In short, you became a buy-and-hold investor in your own career. But now that you’re on the brink of entering the profession, you should also adopt a buy-and-hold posture regarding dental professional liability insurance. Understand the basics of how such policies work, especially the difference between an occurrence and a claims-made policy. Make sure you select sufficient policy limits to cover potentially large claim settlements and legal fees. Learn the nuances of “consent to settle” provisions. Select a dental professional liability insurer that understands your industry, your specialty and the procedures you perform and will stand behind the coverage you select. It's always in a dentist's advantage to keep a Dental Malpractice Insurance Policy in-force at all times so a patient lawsuit never catches you unprotected.